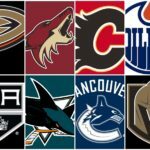 The National Hockey League will conduct an expansion draft in order to incorporate the Vegas Golden Knights franchise into the league for the start of the 2017-2018 season. Vegas will “draft” one player from each of the 30 existing NHL clubs under specific guidelines set by the league. Each team will establish a Protection List of players (either 7-3-1: seven forwards, three defensemen and one goalie OR 8-1: eight skaters and one goalie) that are off limits, and each team must expose certain players with specific qualifications (again, under detailed guidelines set by the league). A full description and explanation of these rules can be found in the link below. 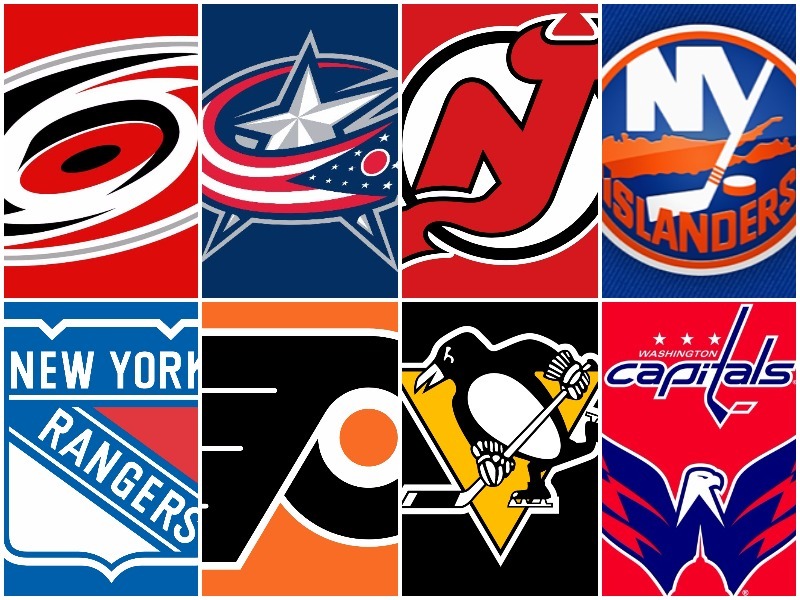 Taking the expansion draft rules into account, here is the Metropolitan Division edition of the Vegas Expansion Draft series, which provides an overview of each of the 30 existing NHL teams’ strategy and options headed into the draft. Carolina Hurricanes general manager Ron Francis has his team in a safe position headed into the Vegas Expansion Draft. Six top defensive prospects along with star forward Sebastian Aho are all exempt from the draft, the core of the team can be protected using the 7-3-1 protection format and Francis has secured a solid goaltender for the next four seasons in Scott Darling. Unlike many other teams in the National Hockey League, Francis and Carolina don’t have to worry about losing a key piece. Jordan Staal has a no-movement clause and therefore must be protected. The other protection locks at the forward position include Jeff Skinner, Victor Rask, Elias Lindholm and Teuvo Teravainen. This leaves room for two additional forwards to be protected. But it also leaves just two forwards who fulfill the exposure requirement. That means that Lee Stempniak and Joakim Nordstrom cannot be protected but instead must be used to fulfill the exposure requirements. In all likelihood, the two remaining protection slots will go to Brock McGinn and Phillip Di Giuseppe. McGinn really stepped up in the second half of last season and established himself as a solid grinding forward. He will continue to be an important part of Carolina’s bottom-six and should be re-signed after the expansion draft. Di Giuseppe played well in 2015-2016, recording 17 points in 41 games with the big club, but was unable to secure himself a spot on the Canes’ roster full-time last season. He made the most of his 36 games, though; instead of showcasing skill, Di Giuseppe brought a physicality to his game. If he can combine the skill and physical edge, he could very well earn a bottom-six role in 2017-2018. The only definite on defense is Justin Faulk. That’s partly because most of the organization’s talent on the back end is exempt from the draft, including Jaccob Slavin, Noah Hanifin, Brett Pesce, Haydn Fleury, etc. But Faulk is the No. 1 defenseman on this team and continues to play a strong two-way game. The other two defensemen that will be protected are Klas Dahlbeck and Ryan Murphy. However, other than Faulk, the only other defenseman who fulfills the exposure requirement is Dahlbeck. This presents a problem for Carolina since Dahlbeck should earn one of the remaining two protection slots. Most likely, Carolina will re-sign Matt Tennyson to an inexpensive one-year deal. If signed to a contract, Tennyson has played the necessary number of games to satisfy the exposure requirement. This will allow the Canes to protect Faulk, Dahlbeck and Murphy. *Note*: For the time being, Klas Dahlbeck is listed as the protected player below and Matt Tennyson is listed as the exposed player so that Dahlbeck can be protected and Tennyson can fulfill the exposure requirement. This assumes that Carolina will re-sign Tennyson in order to protect Dahlbeck. Ron Francis said in his final press conference of the season that he wanted to address goaltending in the offseason. 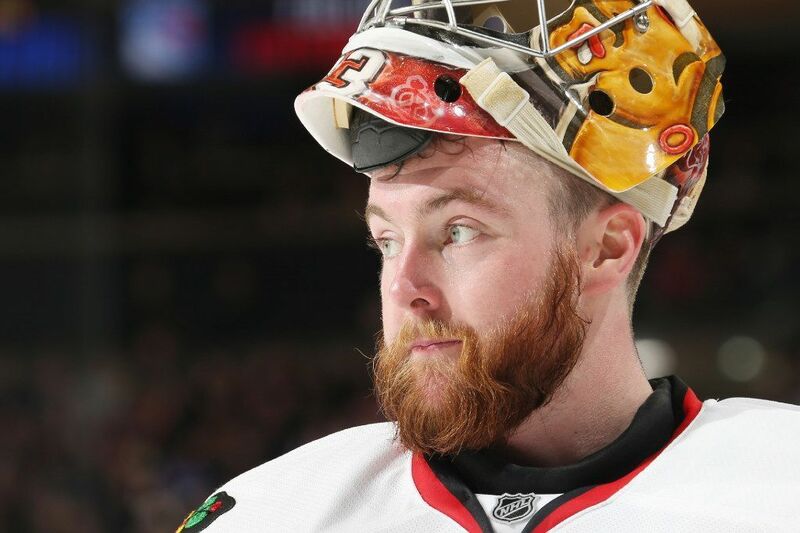 He addressed the issue sooner than many expected, however, when he acquired Chicago Blackhawks backup goalie Scott Darling in exchange for a third-round pick at the end of April. Francis then signed Darling to a $16.6 million extension, locking up the netminder for the next four years. Darling finished last season 18-5-5 with a 2.38 goals-against average and .924 save percentage. In two games against the Hurricanes last year, Darling went 1-1 with a 2.03 GAA and .941 save percentage. He will be the starting goalie in Carolina next season, and he will be protected in the expansion draft. The team still has Cam Ward and Eddie Lack under contract for next season, though. It’s possible Francis will trade one to a team looking for depth at the position. He also could consider moving one along with a draft pick to Vegas to ensure Vegas does not select forward Lee Stempniak in the draft. Though Ward’s and Lack’s numbers were comparable last season (Ward: 26-22-12, 2.69 GAA, .905 SV% vs. Lack: 8-7-3, 2.64 GAA, .902 SV%), Ward’s stats at home were solid. In fact, in 33 home games, Ward posted an 18-9-5 record with a 2.37 goals-against average and a .916 save percentage. By contrast, he went 8-13-7 with a 3.06 GAA and .892 save percentage on the road. That being said, the more likely trade candidate is Lack, who is younger and has a cheaper cap hit for next season. Lack likely will get exposed for the same reasons. The Blue Jackets will elect to use the 7-3-1 protection format. The team has three forwards and one goalie with no-movement clauses, which leaves room to protect an additional four forwards and three defensemen. Brandon Dubinsky, Nick Foligno and Scott Hartnell all have NMC’s and therefore must be protected. There are three other players that can be considered definite’s. Those players are Brandon Saad, Cam Atkinson and restricted free agent Alexander Wennberg. The final slot will go to Boone Jenner; though he had a down year last season, he scored 30 goals in 2015-2016 and is an important leader for this team on and off the ice. Blue Jackets general manager Jarmo Kekalainen may have to make a deal with Vegas to make sure other forwards remain in Columbus. For example, William Karlsson, Matt Calvert and Josh Anderson all will be exposed. Anderson had a breakout season last year with 17 goals in 78 games and is an important part of this team moving forward. Kekelainen won’t be able to save everyone, but Anderson should be staying in Ohio. Sam Gagner, who scored 18 goals and 50 points while playing most of the season in the bottom-six, is another player who is coming off a great season. He was strong on the power-play, however, earning first-unit minutes and tallying eight goals and 18 points on the year. 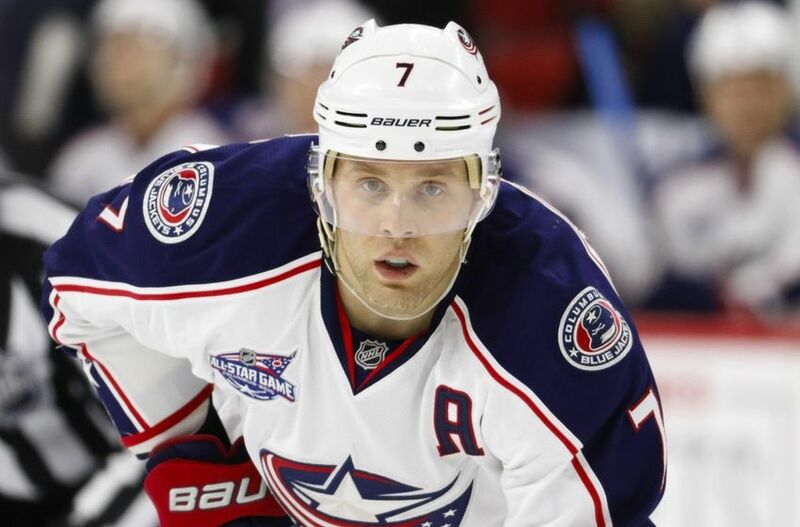 He may leave if the Blue Jackets can’t offer him the money he deserves, but he was a great fit in Columbus. There’s a chance Kekalainen could ask Hartnell to waive his NMC. Hartnell had his worst season as a Blue Jacket last year, scoring just 13 goals, his lowest total since the 2002-2003 season (assuming he was on pace for 16.5 goals in the lockout-shortened 2012-2013 season). If Hartnell agreed to waive his NMC, that would allow Columbus to protect Anderson/Karlsson; if he were picked, it also would clear his $4.75 million cap hit. However, it’s more likely that Vegas will take one of the young forwards or a player from Columbus’ back end. After trading first-line center Ryan Johansson to Nashville to acquire him, the Blue Jackets have Seth Jones signed for another five years. He is not going anywhere and is a definite for protection. Ryan Murray, a former second-overall pick in the 2012 NHL Entry Draft, is a lock as well. The third defenseman that Columbus will protect is David Savard. Savard has four years remaining on his five-year, $21.25 million contract he signed in 2015. Some would argue that veteran Jack Johnson deserves consideration. But Johnson is four years older than Savard and has only one year remaining on his deal. Savard also has the advantage of being a right-handed defenseman, which is harder to find. Johnson still has a lot of game left and is only 30 years old. He’s a former All-Star and Olympic athlete, and Vegas would be crazy not to consider him. The goalie situation is very straightforward for the Blue Jackets. Sergei Bobrovsky has a no-movement clause and therefore must be protected. He will win the Vezina this year as the league’s best goalie after a remarkable season. He went 41-17-5 with a 2.06 goals-against average and .932 save percentage. 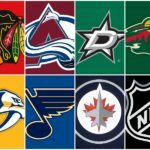 Bobrovsky also is nominated for the Hart Trophy as league MVP. Unfortunately for Columbus, however, Bobrovsky once again proved he is not a reliable goalie in the playoffs when it matters most. The Devils won the NHL Draft Lottery and will draft first overall at the end of June. That technically could affect their protection list strategy, but the effects will be minimal. As it stands now, the New Jersey Devils only have six forwards that fulfill the exposure requirements. That means only four can be protected (unless general manager Ray Shero re-signs one or two of the pending unrestricted and restricted free agents). Assuming no signings are made, the Devils will use the 8-1 protection format in order to protect four forwards and four defensemen. If Shero does make a move, then the Devils could go with the more standard 7-3-1 format. Both scenarios are outlined below. The Devils have six forwards that are eligible for the exposure requirements. That means a maximum of four can be protected. The Devils definitely will protect Taylor Hall, Kyle Palmieri and Adam Henrique. Hall is a superstar forward who just finished up his first season with the Devils after getting dealt from Edmonton last summer. Palmieri led the team in goals (26) and points (53) after potting 30 goals the year before. Henrique has 50 goals and 90 points in the past two seasons. That leaves Travis Zajac, Mike Cammalleri and Devante Smith-Pelly. Smith-Pelly will be exposed, especially after putting up just four goals and nine points in 53 games last season. Zajac had a solid season last year, putting up 14 goals and 45 points in 80 games. He gives the Devils great depth up the middle and can play in all three zones. Cammalleri, on the other hand, had by far the worst season of his career, scoring just 10 goals and 31 points in 61 games. That is the lowest production rate of his NHL career since his first two seasons in the league in which he played a combined 59 games. By contrast, he scored 14 goals and 38 points in just 42 games the year before. Cammalleri was a healthy scratch for the first time in his career during his worst-ever scoring slump; he last scored Jan. 6. For a player who has often put up points at will in this league, everything seemed to go wrong last season. Cammalleri has two years left on a deal that carries a $5 million cap hit and will turn 35 next week. Zajac has the obvious edge here. If the Devils stay with the 8-1 protection format, the team can protect four defensemen. While Andy Greene will be 35 at the end of October, he remains an important part of this defense and this team. He led all Devils skaters in average ice time last season (21:57), he’s a veteran presence on a young team and he’s the captain, all of which make him worth the protection slot. Damon Severson is another definite for protection. The restricted free agent set career-highs in assists (28), points (31), power-play points (13) and shots (125). The 22-year-old had an up-and-down season. He has the most talent and potential among all defensemen on the team but committed a ton of brutal turnovers throughout the year. That being said, Severson has a bright future on this team and will be re-signed later this offseason. From there, it’s likely New Jersey will use the remaining two protection slots on John Moore and Jon Merrill. Moore has one more year on a reasonable deal, which carries just a $1.67 million cap hit. Moore led all Devils defensemen in goals with 12. He needs a lot of work on his positioning but possesses important offensive upside. Merrill also has another year on a very reasonable contract ($1.14 million cap hit) and became a pretty solid defenseman for the Devils down the stretch. No matter what protection format the Devils use, Cory Schneider will be protected. He had a very rough season last year but can be an elite goaltender in this league. There is no debate here. The forwards that would fulfill the requirements for exposure include Jacob Josefson, Stefan Noesen and Beau Bennett. If Shero decides to go that route, then Hall, Palmieri, Henrique, Zajac and Cammalleri will be protected. It’s likely that Noesen and Bennett would be the other two, assuming Josefson is re-signed for exposure. Greene and Severson remain definite’s. The third slot will come down to Jon Merrill, John Moore and Ben Lovejoy. Even though Shero brought Lovejoy in as a free agent last summer, the other two are much better options. Moore should have the edge over Merrill. Again, Schneider will be protected. 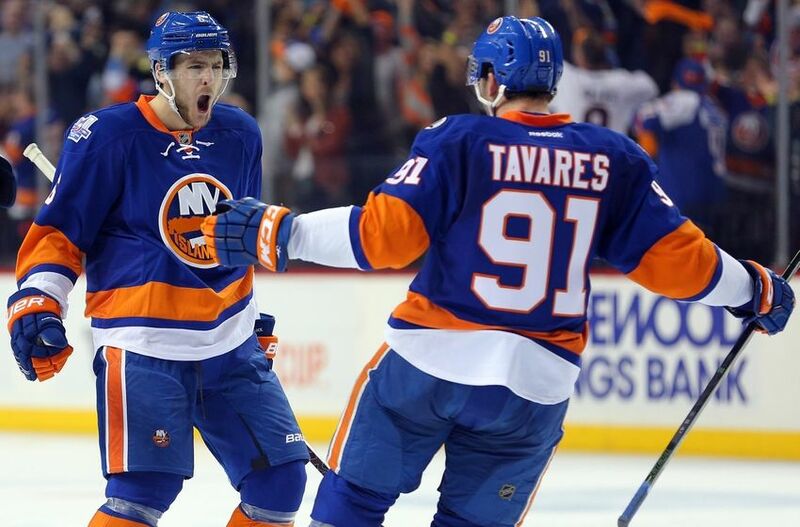 The New York Islanders are entering a very important offseason. Franchise superstar John Tavares will be an unrestricted free agent next season, and it’s unclear if he will stay with the team that drafted him. 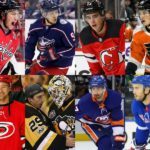 Management has traded most of the linemates with which he has had success, and the team did nothing at the trade deadline to fight for a playoff spot. Additionally, multiple decisions made last offseason negatively affected the team in a significant way. Even though the Islanders might not be in the best shape, the team has plenty of assets to lose in the upcoming expansion draft. Luckily for the Islanders, Vegas can take only one. The Islanders likely will lose a defenseman, which makes the 8-1 protection format a possibility. Both the 8-1 and 7-3-1 formats are explored below. John Tavares and Andrew Ladd both have no-movement clauses and therefore must be protected. The Ladd contract backfired in a big way this season as he couldn’t build chemistry with Tavares and recorded just 31 points. But Ladd is here to stay. From there, the other definite is Anders Lee, who led the team in goals with 34. He played well on the top line with Tavares and will be back next season. The final forward will come down to Nikolai Kulemin, Cal Cutterbuck, Casey Cizikas, Josh Bailey, Brock Nelson, Ryan Strome, Jason Chimera, Shane Prince and Alan Quine. More realistically, the decision will come down to Cizikas, Bailey, Nelson and Strome. Cizikas is signed to a long-term deal with a $3.35 million cap hit, which many could classify as inappropriate considering he is the team’s fourth-line center. Bailey and Strome haven’t lived up to expectations, especially since both were top-10 draft picks (Bailey was taken ninth overall in 2008 and Strome was taken fifth overall in 2011). Nelson, on the other hand, has put together a few strong seasons in a row. He has scored at least 20 goals in three consecutive seasons and has missed just two games in three years. He deserves the fourth protection slot. Johnny Boychuk has a no-movement clause and therefore must be protected. Nick Leddy and Travis Hamonic are locks as well. Hamonic has been linked to trade rumors in the past, especially after asking for a trade for personal reasons a few years ago. That being said, he has since rescinded that request and is one of the team’s best defensemen. He has a ton of heart and wears the “A” for the Isles. He is a definite for protection but could be moved this offseason. That leaves just one slot for several strong defensemen. The main options are Thomas Hickey, Ryan Pulock, Adam Pelech, Scott Mayfield and Calvin De Haan. All five are strong options, and it’s likely Vegas will take one of them. When all is said and done, though, Pulock has the most potential and value. His 100+ mph slap shot will be a weapon on the power-play moving forward, and he has a skillset the others do not have. The Islanders have a sticky situation in net after waiving and eventually recalling goaltender Jaroslav Halak. The team re-signed Thomas Greiss to a three-year deal but his play declined towards the end of the year. Interestingly, it was Halak that led them down the stretch. Greiss will be protected nevertheless. Again, Tavares and Ladd have no-movement clauses and have to be protected. From there, Lee and Nelson are locks as well. That leaves three slots open. The Islanders can choose from Clutterbuck, Cizikas, Bailey, Strome, Prince and Quine. Bailey and Strome are likely fits. Bailey finished second on the team in points with 56, and general manager Garth Snow has shown belief in him before. Even though Strome has been a disappointment, his value is worth protecting. He put together a 50-point campaign in 2014-2015 and had 13 goals last season. Strome would make for a strong trade candidate if the Isles look to acquire a winger for Tavares. With Tavares, Ladd, Lee, Nelson, Bailey and Strome protected, the Islanders have one more open slot. Even though his contract is problematic moving forward, the team could decide to go with Cizikas. It’s obvious Snow believes in him given the fact that he gave him a five-year, $16.75 million contract. That is excessive for a fourth-line player, but the Islanders believe in having a strong fourth line. Prince is an option but has not reached the 20-point mark in his career. He could be an under-the-radar option for Vegas, but New York probably will go with Cizikas. Boychuk has to be protected because of his no-movement clause. Leddy and Hamonic are definite’s. That means players like Pulock, De Haan, Hickey, Pelech, etc. will be exposed. Vegas will have its choice out of a very strong group of d-men. Thomas Greiss will be protected regardless of the overall protection format the Islanders elect to use. The New York Rangers are coming off another disappointing playoff loss. The team has four players with no-movement clauses, which will control a lot of its expansion draft plans. The NMC’s dictate the situation, so New York will use the 7-3-1 protection format. All seven of the team’s forwards who may be exposed (Stepan, Kreider, Zuccarello, Miller, Hayes, Lindberg, Fast, Grabner) are important to this team. At least one of them will be exposed and probably will be selected by Vegas. But it’s likely general manager Jeff Gorton will look to re-sign one of the free-agent forwards for the purpose of exposure; that would allow the team to choose six of the seven forwards who are eligible as it stands now. Rick Nash has a no-movement clause and therefore must be protected. Other definite’s include Derek Stepan, Chris Kreider, Mats Zuccarello and Mika Zibanejad. That leaves just two slots for 6-7 strong forwards. Those players are J.T. Miller, Kevin Hayes, Michael Grabner, Jesper Fast, and Oscar Lindberg. Though the Rangers would be wise to protect Fast, it’s unlikely given the other options available. The decision will come down to Miller, Hayes and Grabner. Since those are the only other forwards eligible for exposure, Gorton will have to re-sign another player in order to protect two out of the three. Let’s assume that happens. Even though Grabner finished second on the team in goals (27) despite not getting time on either power-play unit, he will be the one left out. He spent a lot of the season on the third and fourth lines and therefore plays a smaller role on this team than guys like Miller and Hayes. Grabner was a very pleasant surprise after signing a two-year deal last offseason, but Miller and Hayes have more potential and more value. They will fill the final two slots. Again, the only way for this to be possible is if Gorton re-signs another player for the purposes of exposure. Fast and Lindberg both need to be re-signed this offseason and would be exposed either way. Both would satisfy the exposure requirements. Both would be great picks for Vegas. **Note**: For the time being, J.T. Miller and Jesper Fast are listed as protected forwards while Kevin Hayes is listed as a player that will be exposed. 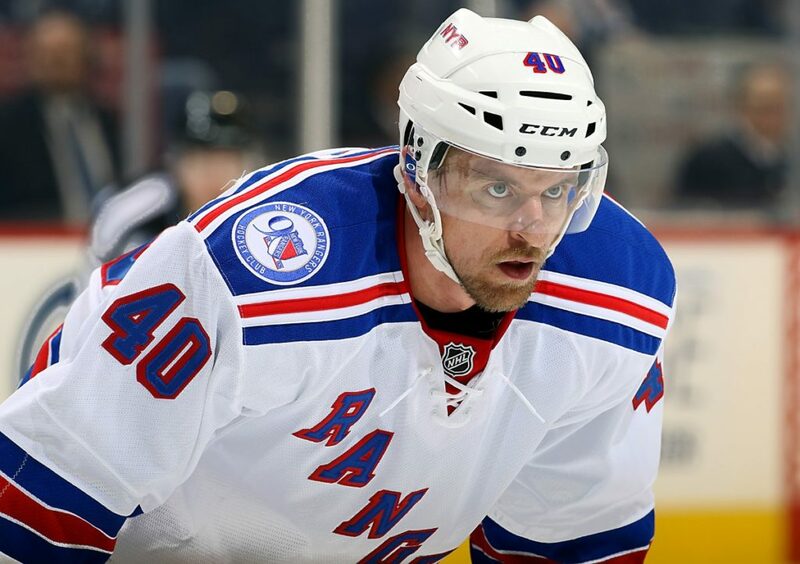 The Rangers will want to protect both Miller and Hayes but will need to re-sign another forward in order to do so. Marc Staal and Dan Girardi both have no-movement clauses and therefore must be protected. That leaves just one slot available; however, this is one of the easiest decisions any team has to make headed into the expansion draft. The team will use the third slot on captain Ryan McDonagh. He is the best defenseman on the team and has tremendous value. Henrik Lundqvist must be protected no matter what because of his contract’s no-movement clause. The decision would be the same even without the NMC, however. Lundqvist has been the most important player on this team since he became the starter 12 seasons ago. The Philadelphia Flyers will draft second overall in this year’s NHL Entry Draft. It’s possible general manager Ron Hextall will trade the pick, but it makes much more sense for the team to go ahead and draft either Nolan Patrick or Nico Hischier. That shouldn’t affect the team’s decisions for the expansion draft. The Flyers will elect to use the 7-3-1 format since there are at least six forwards that have to be protected. However, only six forwards and two defensemen are locks; the other forward and defenseman slots, as well as the goaltender slot, are up in the air. Claude Giroux and Valtteri Filppula have no-trade clauses and therefore must be protected. The other definite’s are Jake Voracek, Wayne Simmonds, Brayden Schenn and Sean Couturier. That leaves just one slot available. The options are: Michael Raffl, Matt Read, Dale Weise, Nick Cousins, Scott Laughton, Pierre-Edouard Bellemare, Taylor Leier and Jordan Weal. Realistically, however, it will come down to Raffl, Cousins, Laughton, Bellemare and Weal. Raffl is a one-time 21-goal scorer and has played well on the team’s top line over the years. He keeps the mood light in the locker room and is liked by all of his teammates. However, he is an inconsistent contributor and should be a bottom-six forward. Cousins and Laughton have not lived up to expectations, though Cousins showed glimpses of true potential last season. Laughton remains a solid bottom-six two-way center. It was telling last season that the Flyers called up Weal and Leier above Laughton; that could mean the writing is on the wall for him. 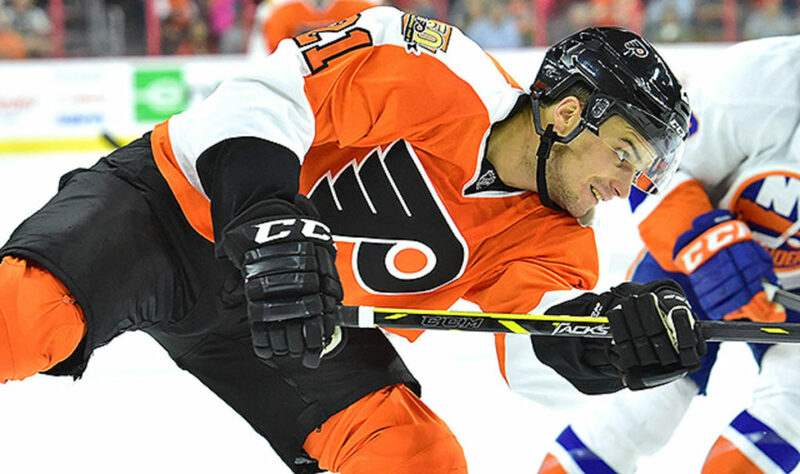 Bellemare was given the “A” after the Flyers traded defenseman Mark Streit at the trade deadline; he was also signed to a two-year extension, which shows that management believes in him. He’s a great defensive forward and penalty-killer but does not contribute offensively. The Flyers may want to protect the player with the letter on the jersey, though. Jordan Weal is a real possibility even though he is a UFA at the moment. The team could re-sign him prior to the draft and use him as the seventh protected forward, or Hextall could gamble and hope Vegas doesn’t offer him a deal he can’t refuse. Weal finished the season with seven goals and 11 points in his final 16 games. In the end, the most likely scenario is that Hextall will re-sign Weal ahead of the draft, making Weal the seventh protected forward. He played too well down the stretch for Hextall to risk losing him. The Flyers definitely will protect Shayne Gostisbehere and Radko Gudas. Both are key blueliners for the team and both will be on the protection list. That leaves one additional spot. The Flyers will not re-sign Michael Del Zotto or Nick Schultz, so the decision comes down to Andrew MacDonald and Brandon Manning. Manning makes the most sense. He has one more year on a reasonable deal compared to MacDonald, who has three years remaining on his albatross of a contract, which carries a $5 million cap hit. Philly should pray that Vegas general manager George McPhee takes MacDonald, but that won’t happen. 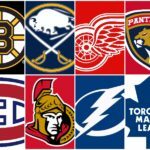 MacDonald easily has one of the worst contracts in the NHL. Manning had a strong season and has a mean streak, something the Philadelphia Flyers always value. His two-way game has improved significantly over the past few years, and he’d be a great player to help the young defensive prospects transition to the NHL. The plan going into the offseason was that Anthony Stolarz would be protected with both Steve Mason and Michal Neuvirth due to be free agents. The Flyers decided to re-sign Neuvirth to a two-year, $5 million deal before the trade deadline. It was believed Philly would expose Neuvirth, protect Stolarz and let Mason walk. However, Stolarz tore his MCL and had surgery in April. The Golden Knights wouldn’t have had much interest in him to begin with, but the injury should make them even less interested. Since McPhee had Neuvirth in Washington, it makes sense for the Flyers to protect Neuvirth instead. The Pittsburgh Penguins are en route to winning the team’s second consecutive Stanley Cup title, something no team has done since the Detroit Red Wings did it in 1996-1997 and 1997-1998. Most of the protection list decisions will be clear-cut for this Penguins team. The Penguins must protect forwards Sidney Crosby, Evgeni Malkin and Phil Kessel because of no-movement clauses in their contracts. Those three would be the first to be protected in any case, so the NMC’s are largely irrelevant. However, the rest of the forwards on the protection list are locks as well. Two of those forwards are Patric Hornqvist, who has one more year on a deal that carries a $4.25 million cap hit, and Carl Hagelin, who has two years remaining at a $4 million cap hit. Bryan Rust, who has one more year at a $640,000 cap hit, is a lock as well. That leaves one slot open, which will go to Nick Bonino, an unrestricted free agent. The Penguins will have to reach an agreement with Bonino prior to the expansion draft in order to protect him, but he should be part of the Penguins’ future either way. Financial constraints may get in the way of that, especially with players like Brian Dumoulin and Conor Sheary in need of new deals. But if Pittsburgh goes the 7-3-1 route, there’s only six forwards that really fit the bill. If Rutherford uses the 8-1 strategy, it’ll likely be done in order to to protect Dumoulin. Kris Letang has a no-movement clause in his eight-year, $58 million contract, so he must be protected. Even though the Penguins are in the midst of winning the Stanley Cup without him, Letang has evolved into a No. 1 one defenseman for this Penguins team. He has always possessed stellar offensive skills but has really fine-tuned his two-way game in recent seasons. The Penguins only have two other defensemen that would fulfill the exposure requirements, which means at least one will have to be left off the protection list. That will be Ian Cole, who has one more year at a cap hit of $2.1 million. Cole has been excellent for the Pens since coming over from St. Louis and is not someone the team wants to lose. However, the Penguins have to protect Olli Maatta, who has more value and potential than Cole. The third protection slot will go to restricted free-agent defenseman Justin Schultz. He was acquired from Edmonton at last year’s trade deadline and played a role in last year’s Cup run. Schultz had a great regular season for the Pens this year, scoring 12 goals and 51 points in 78 games. He took Letang’s spot on the team’s first power-play unit and has 11 points in 17 playoff games this year (as of this posting). With several contracts coming off the books this offseason, Penguins general manager Jim Rutherford should have enough cap room to re-sign him. Matt Murray emerged as the team’s starter last year when Marc-Andre Fleury got injured, and he carried this team to its first Stanley Cup since 2009. 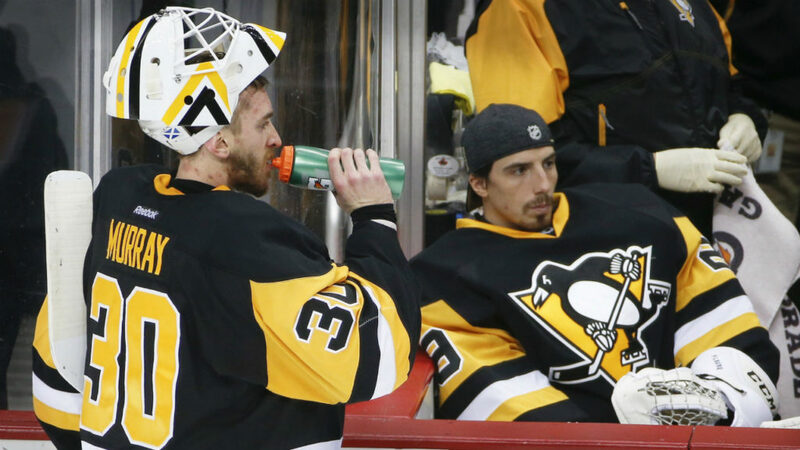 It was Fleury that led the team to the Conference Finals this season, however, as Murray sustained an injury in warm-ups in the first game of the first round. He was eventually replaced by Murray after struggling against Ottawa in the third round. Rutherford elected to keep Fleury rather than trading him at the deadline, which ended up being a crucial decision since Fleury got the Penguins to the third round. With the expansion draft on the horizon, however, the team won’t be able to keep both goalies. Plus, it doesn’t make sense from a financial standpoint to retain both goalies moving forward. The complication lies in the fact that Fleury has a no-movement clause and therefore must be protected. NOTE: It was later reported that Fleury had waived his NMC much earlier in the season and knew he would be traded at some point. That will have to change, and Rutherford will have two options. If Fleury does not waive his NMC for the purposes of being taken in the expansion draft, Rutherford will be forced to trade him prior to the expansion draft; if Fleury does waive his NMC, which essentially would be confirmation that he is willing to play for the Vegas Golden Knights, then Rutherford can simply protect Murray and let Vegas take Fleury. Murray is the goalie of the future for this Penguins team with essentially two Cups to his name. Fleury will be out the door, it’s just a matter of whether he goes in the expansion draft or gets traded beforehand. ***Note***: For now, Murray is listed as the protected goalie since that’s the obvious outcome for this Pens team. Rutherford will have to unload Fleury in some capacity. For now, he’s listed as the exposed goaltender. If Fleury is moved, Rutherford also will have to acquire a goaltender who can fulfill the exposure requirement. The Washington Capitals are coming off a second consecutive second-round defeat at the hands of the Pittsburgh Penguins, though this year’s loss was much more devastating to everyone involved. It took until just yesterday for General manager Brian MacLellan to hold his end-of-the-year press conference. He revealed some information, but a lot of the team’s offseason plans remain unknown. One thing that is clear, however, is that the Caps will use the 7-3-1 protection format. The team does not have any no-movement clauses with which to contend, but there are definitely several locks for protection. The most obvious lock is captain Alex Ovechkin, followed by first-line center Nicklas Backstrom. Other locks at the forward position include Marcus Johansson and restricted free agents Evgeny Kuznetsov and Andre Burakovsky. That leaves two slots available, but the team only has three remaining forwards that would fulfill the exposure requirements: Lars Eller, Tom Wilson and Jay Beagle. At this point, it’s likely MacLellan will re-sign another forward to allow the Caps to protect two of those three players. Brett Connolly would be an easy choice; the Capitals have expressed interest in bringing him back, and he is the only non-UFA that would fulfill the exposure requirements. Assuming Connolly is re-signed, the Capitals will protect Eller and Wilson. That will leave Beagle available for the taking. Rumors have surfaced that a deal with unrestricted free-agent forward T.J. Oshie is “all but done,” but MacLellan’s comments at the press conference indicate that only one unrestricted free agent will be retained this offseason. That list includes Oshie, Justin Williams, Daniel Winnik, Karl Alzner and Kevin Shattenkirk. Of those players, the most important are Oshie, Williams and Alzner. The team still believes in Wilson’s potential and will protect him; Eller had a good regular season, and while he was held to just five points in the postseason, his possession and ability to drive the play were noticeable. MacLellan all but confirmed that Karl Alzner will not be re-signed this offseason. That is a big loss for this Capitals team, but with many key assets in need of new contracts, Alzner will be left out. It will be hard for the team to replace his stability on the back end, but since he’s not coming back he certainly won’t be protected. The team has four defensemen worthy of protection, but only three will appear on the team’s protection list. Those three defensemen will be Matt Niskanen, John Carlson and Dmitry Orlov. MacLellan indicated he intends to sign Orlov to a long-term extension, and Orlov will likely be on the top pair with Niskanen moving forward. However, this will leave Nate Schmidt unprotected. Schmidt stepped up in the playoffs and proved he deserves a regular spot in the lineup. Perhaps MacLellan will offer something to McPhee in order to ensure Vegas does not select Schmidt. The problem is that McPhee has connections to many of these Capitals players. This includes Schmidt, Beagle and goaltender Philipp Grubauer, all of whom are possible Vegas targets. Braden Holtby is a Vezina Trophy-winning goalie and is coming off his third straight 40-win campaign (he has won 42, 48 and 41 games in the last three seasons, respectively). 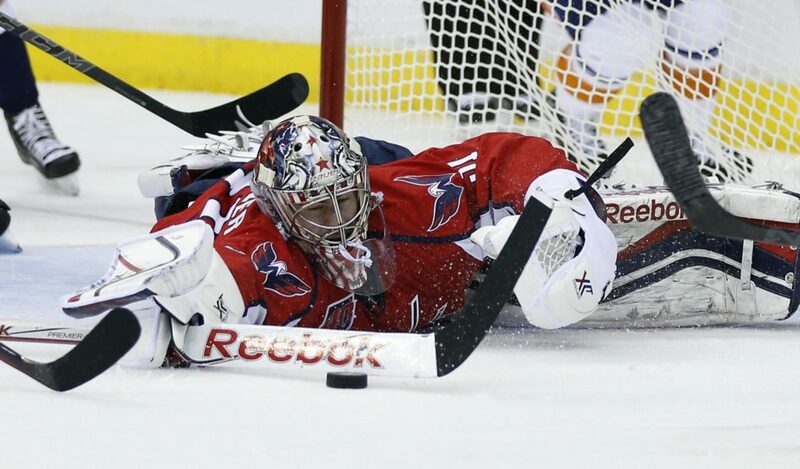 He was not strong for most of the playoffs but is an elite goalie and will remain the Capitals’ starter moving forward. Holtby will be protected. Philipp Grubauer is important to this team as well. He wants a chance to be a starter next season, but MacLellan will do what he can to re-sign him and keep him away from Vegas. The hope among Capitals fans is that McPhee will have better options in net (from other teams) and will leave Grubauer in Washington. 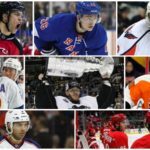 McPhee drafted Grubauer, however, and could have interest.